Frank who? you may ask! Frankincense!! 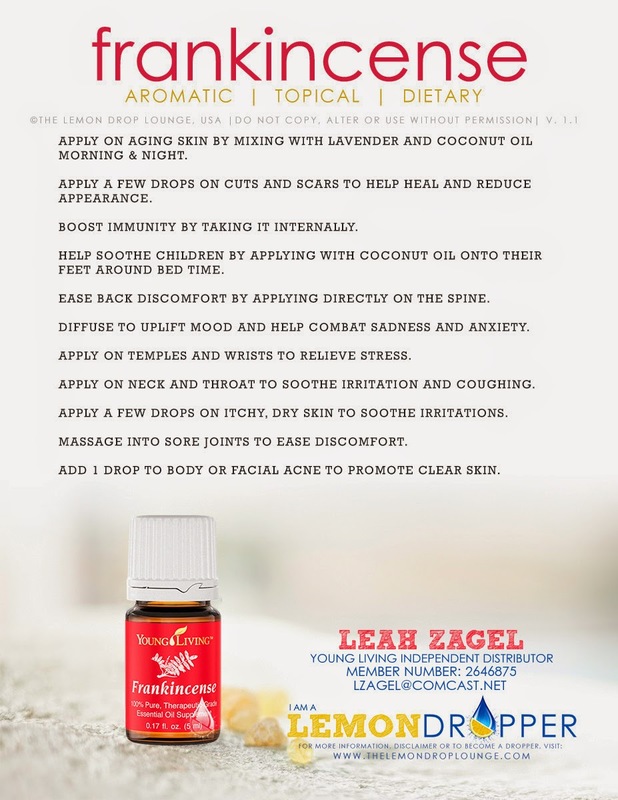 Leah used Frankincense in her homemade face lotion/cleanser. 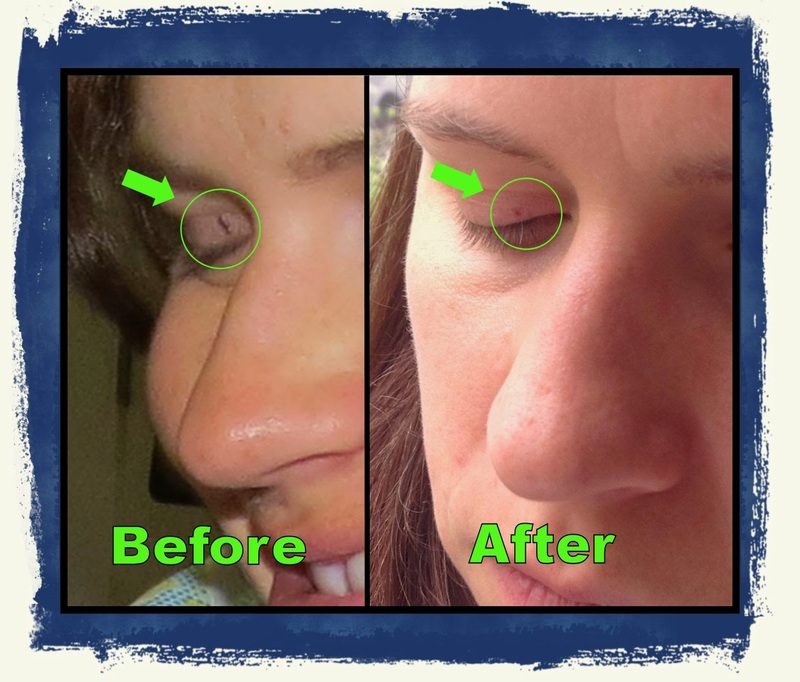 We wanted you to know that Frankincense is useful is other applications too! Ann has used it on scraps with good success. In our next post we'll talk about the Lemon that Leah used in her recipe. Stay tuned! Coming up later will be her toothpaste recipe! If you are Facebook, I hope that you had a chance to attend our event Monday evening. We had about a dozen different people post their oily routine throughout a normal day. This event will be up for you to read through until April 6th. Both Leah and Ann have their routine on the list and hope that you enjoy reading about it! 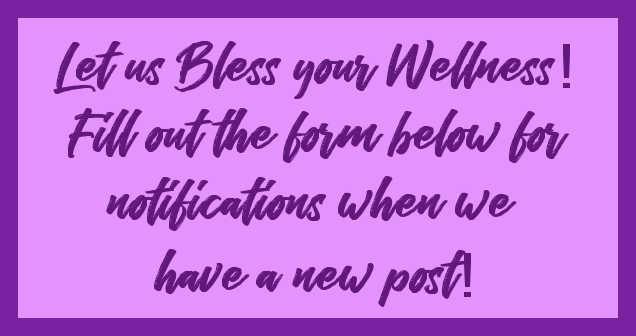 We hope that all the routines give you a good idea how people are incorporating essential oils into their lives. With the added benefit of being able to go natural! This event requires an invite so if you need to be invited, please let us know and we'll get you in!! I just found out the sale info below and wanted you to know about it. I have NOT had a chance to use this product but others LOVE it. It is a concentrated form. This is the dilution ratios: light degreasing 60:1; medium degreasing 30:1; heavy degreasing 15:1; floors 100:1; walls 30:1; upholstery, fabrics, carpet spotting 40:1; carpet 100:1; glass 320:1; pots and pans; 100:1 hand cleaner 1:1. 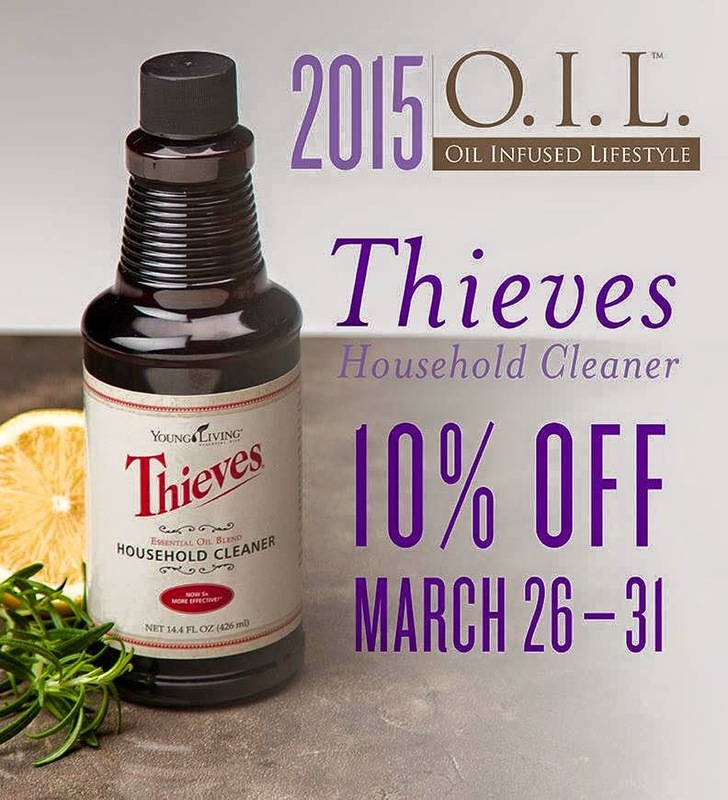 One of these 14 ounce bottles of thieves cleaner can make 14 of the 32 ounce bottles of cleaner! We will have a blog post in the near future about what Thieves is but the short version is that it is a oil blend made centuries ago to combat plagues. The antibacterial cleaner is great at getting rid of the cooties brought home from work and school. Also.......there will be a special FB event on Monday starting at 6pm Pacific time entitled The Day in the Life of an Oiler. Leah and I will be posting in this event along with a number of other oilers! Enjoy from the comfort of your computer room and join in the conversation only if you want. You need to be either Leah's friend or my friend on Facebook. Let us know if you interested! Leave us your FB name via the contact form to the right and we'll invite you!! Have you ever heard someone use the saying ‘Balled my eyes out’? To me this phrase is best described as crying so hard, long and with so much force that your eyelids feel like they are rolling out and the following day even your eyes are puffy and red. This is not a pretty sight to see. Nine years ago, I had an argument with someone and afterwards was so sad and emotional about it that I ‘Balled my eyes out’. The following morning I was surprised to see a vein had appeared on my eyelid. It was a red spot and was slightly bumped out. I covered it up with makeup and thought it would go away in a few days. After a few months, definitely enough time for it to heal, I had to come to grips with the fact that it was NOT going away. Over time it turned to a dark purple hue. When I was pregnant, it went one step farther and grew in size. Much like you would point out spinach in someone's teeth to be helpful, people would point out that spot thinking that I had tagged myself with mascara. Long ago I forgave and sought forgiveness from the person with whom I had argued. However, the spot was a constant reminder of that original moment of pain. Skip forward to one and a half years ago, I had read many articles about the type and amount of chemicals that are present in many facial cleansers and moisturizers. My mother kept telling me that I should try coconut oil. My skin has always been what I classify as oily skin. I had a hard time with the concept of adding more oil to it. I decided to go out on a limb and try using coconut oil for my moisturizer. My mom had been using it quite a while and her face didn’t look like an oil slick. To my surprise I really liked it. My skin felt more hydrated throughout the day. Then, last December I received my first set of essential oils. I found some claims that Frankincense was really good at healing skin and that a drop of lemon on the skin could help with oiliness. Since I had been experiencing acne problems related to hormone changes, I decided to add them along with some Clary Sage to my coconut oil moisturizer. First, I loved the smell of the oils together since it was like a baked good, YUM! Honestly each morning putting it on my face made me hungry. Then I read a post about removing your makeup with coconut oil. I decided to try it out with my yummy smelling mix. Who wouldn't want to go to bed smelling delicious? This effectively removed traditional cleansers and moisturizers from my routine and as an added bonus I noticed I no longer put Chapstick on each night before bed. My lips simply don’t feel like they need it. And I have been a Chapstick-a-holic for years. About 2 months after using my mix in the morning and at night, I had a very exciting morning. I really consider it my oily miracle! As I was putting on my eye makeup I noticed that the spot on my eye had FADED and it was no longer 3D. I gasped, did a happy dance, ran to show my husband and was on cloud 9 for the rest of the day. I never expected the power of Essential Oils to be strong enough to heal something 9 years old! As I continue to use my mix, that spot keeps fading. YEAH!!! You can read about Leah's testimony on this recipe HERE. Drop in frankincense and lemon essential oils. Pour into GLASS* container for storage. Set aside and let oil cool to re-harden. The mixture will stay in a hardened state unless air temps rise above 72 degrees (which is enough to melt coconut oil). Use the back of your nail or a mini makeup spatula to remove from jar. As a moisturizer, remove a pea size amount from container. Liquify by holding hands together to melt then apply to face as you would a traditional moisturizer. As a facial cleanser/makeup remover (this baby does amazing with mascara), remove about 1-2 pea size portions. Again liquify by holding hands together to melt then rub into face and over mascara. Keep your eyes shut! Use a microfiber cloth to rub excess oil and dirt from face. Ann just grabs a few squares of toilet paper to wipe the oil off her face. *Why Glass? Read the last entry on this link. An essential oil is a concentrated liquid containing aroma compounds from plants. 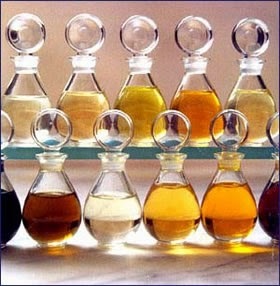 Essential oils are simply the "oil of" the plant from which they were extracted, such as oil of clove. An oil is "essential" in the sense that it contains the "essence of" the plant's fragrance—the characteristic fragrance of the plant from which it is derived. 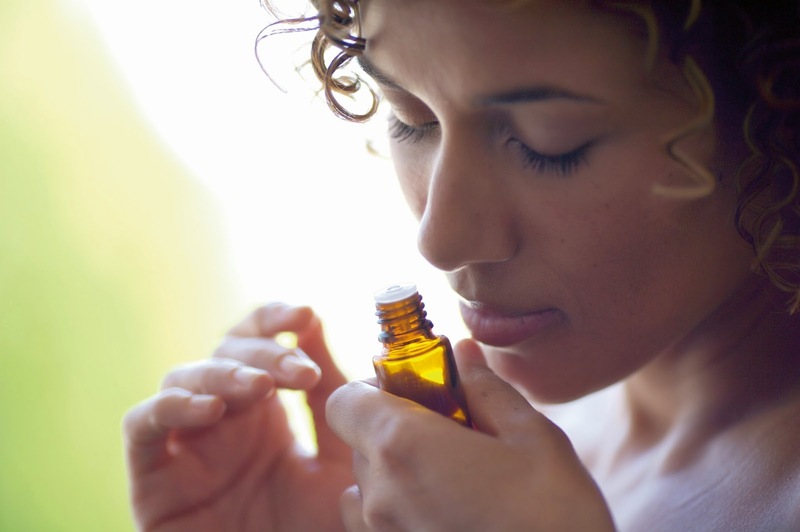 Are you thinking about taking the plunge to use essential oils in your home? Are you unsure how to use the oils? Here are some ideas to get you started using those little bottles of goodness! This is just a partial list, mind you! There are so many uses for each oil. You will hear us frequently use the phrase 'carrier oils'. Since this is not a well-known phrase to all, here is an explanation for you. Answer: A carrier oil is a vegetable oil that can be used to dilute Essential Oils. 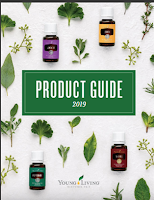 Grapeseed oil, fractionated coconut oil, avacado oil, argan oil , jojoba oil, and Young Living's V-6 Vegetable Oil Complex are some of the many excellent carrier oils available. Since it is commonly found in household kitchens, olive oil can be used but many avoid it due to thickness and aroma. Note: Jojoba oil is not for internal consumption. Q: What does a carrier oil do? Answer: A carrier oil ensures that essential oils can be comfortably applied topically. The carrier oil does not dilute the essential oils' effectiveness. Q: Why should I use a carrier oil? Answer: A carrier oil prevents waste due to excessive application and helps you spread the essential oil more evenly on the skin. It also stretches your dollar because you use less of the essential oil in your application. Some consumers use a carrier oil in their gel-caps to make a 'hot oil' like cinnamon more stomach friendly. Q: What oils are unsuitable as carrier oils? Answer: Vegetable shortening, butter, margarine or petroleum jelly should never be used as carrier oils. Over processing makes them unsuitable. Three ways to use oils! There are 3 ways to use essential oils. Each bottle is labeled to tell you how you can use each oil. Use your diffuser or the diffuser from your starter kit. Add water to the fill line then add 2-6 drops of essential oil. Start small and add more if you need more. The less oil you use each time you diffuse the further your oils will go. 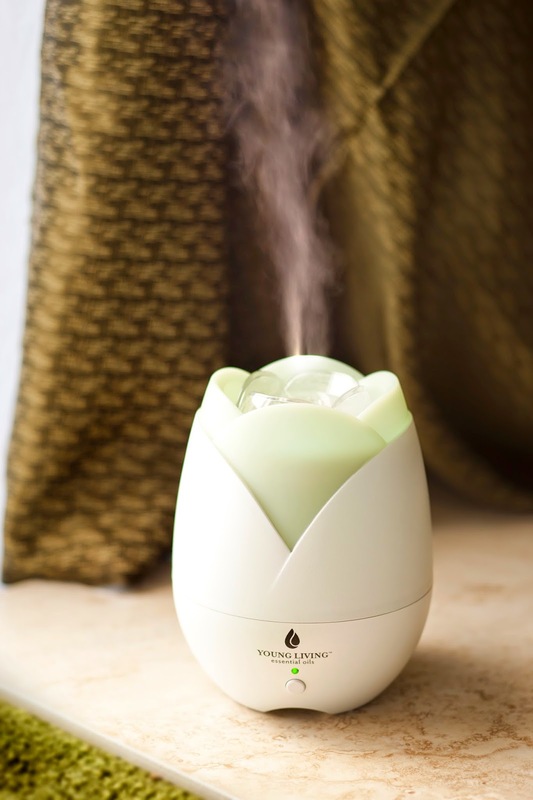 The diffuser breaks the oils into teeny tiny drops that you inhale. If you don't have a diffuser, you can also add a drop to the palm of your hand, cup your hands together then inhale or inhale straight from the bottle. This is where dilution comes in handy. Use a carrier oil to dilute your oil as necessary before applying it on skin. Check for skin sensitivity. Some oils are considered “hot” oils (meaning they will be very warm or hot on the skin and have a higher risk of sensitivity) such as cinnamon, clove, lemongrass, peppermint, oregano, thyme, Exodus II, and Thieves. Again if the skin is feeling hot, do not use water, but a carrier oil rubbed on your skin to help dilute it. The best place to use essential oils is behind the ears, on the wrist, in the crook of the elbow, and on the bottoms of your feet. The bottoms of your feet have over 200,000 nerve endings and using oils there can help send oily goodness through your entire body! A bottle will be labeled dietary supplement if it can be taken internally. If dietary supplement is not on the bottle, do NOT take them internally. Put a few drops of oil into an empty gel capsule and swallow it. 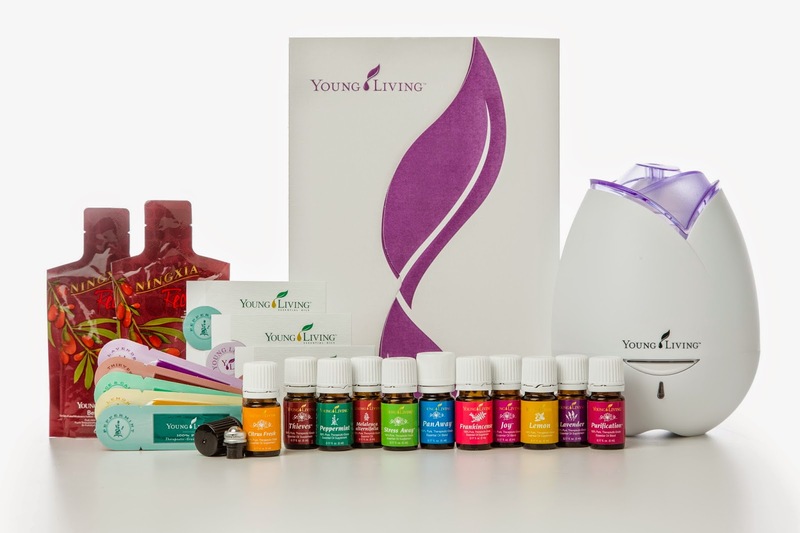 Empty capsules can be purchased through Young Living as well as online or in health food stores. Add oils directly to a glass of water or stainless cup (don't use plastic!!). Yes you can drink the oils this way. All of the citrus oils taste amazing in water and are wonderful in teas. Finally, add a drop under the tongue. This is the fastest way for the body to absorb the oils but be careful with 'hot' oils! *Please note that the information above about ingesting oils is to be taken at your own risk. Studies have not shown nor disproved the use of ingesting oils to be helpful nor harmful. Ann is erring on the side of not ingesting most....only the citrus ones in water or tea. Oh, my... This is a subject that I wish I had paid more attention to. When I first started using oils, I put lemongrass on my neck after a shower. I was a newbie and I'm not ashamed to say it. Lemongrass was an oil that I had used several times but this morning my skin started burning. 'Wow! ', I thought, 'this is different, I should try to wipe some off'. The only problem was that it had mostly absorbed into my skin so rubbing it off didn't really make a difference. Next I tried washing it off with water. BIG mistake, it then started feeling like a fire on my neck. I'm not kidding, it was starting to get really uncomfortable. I even pulled out my phone to take a pic of my skin and see what was going on. Finally, I remembered reading something about oil dissolving oil in an oil face washing post (I'll share about oil cleansing with you another day). I grabbed some coconut oil and rubbed in on my neck and the burning finally dissipated. Woohoo! Win for the newbie. I learned a quick but important lesson that day. Essential oils are NOT water-soluble, they are oil-soluble. If an oil gets in your eyes or begins to burn your skin a little, DO NOT try to remove the oil with water – it will only drive it in deeper. 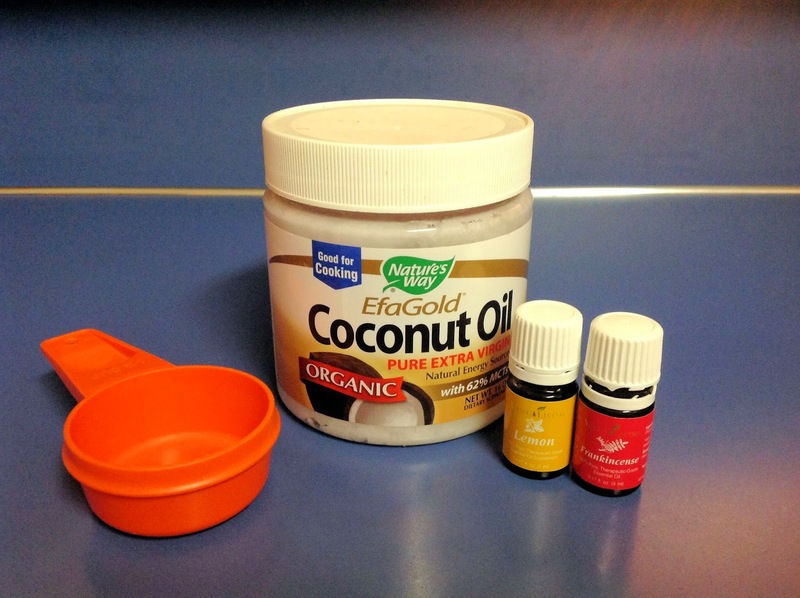 Use a carrier oil, such as coconut oil or Young Living’s V-6, to dilute an EO if you have used too much. Some oils are photosensitive, meaning they should not be used on your skin before exposure to direct sunlight or UV rays. Using a photosensitive oil prior to sunlight or UV exposure could lead to pigmentation changes, rashes or cause your skin to burn. Photosensitive oils include lemon, orange, grapefruit, mandarin, bergamot, angelica, etc. A reference book (The EO Pocket Reference book) can provide guidance on which oils are photosensitive. Caution should be used in pregnancy when using oils containing elements with hormone-like activity such as sage, clary sage, and fennel. Although no adverse reactions have been recorded in humans when using these oils during pregnancy, caution should be used. Always check with your doctor before using oils during pregnancy. Dilute oils for infants and small children 1-2 drops of pure essential oil to 1/2 – 1 teaspoon of carrier oil (coconut, V-6, etc.). The EO Pocket Reference book has a section on children. 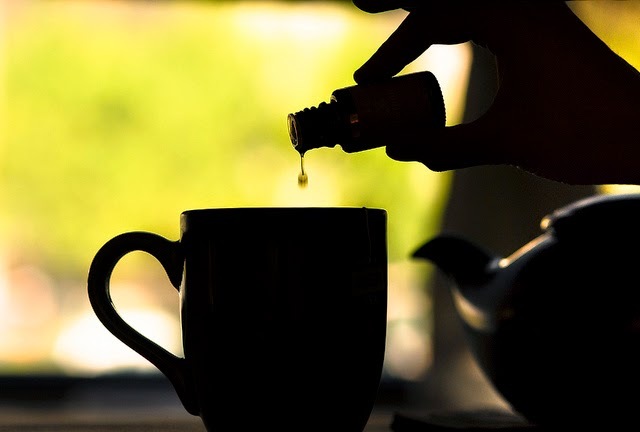 Do not drop oils directly in the ear canal, though they can be used diluted on the outer back area of the ear, under the ear lobe and down the throat (for an earache, for instance). Oils can also be placed on a cotton ball, which can then be placed in the ear. Do not drop oils directly in the eye. It will most likely sting and cause the eye to water (though it will not damage the eye). 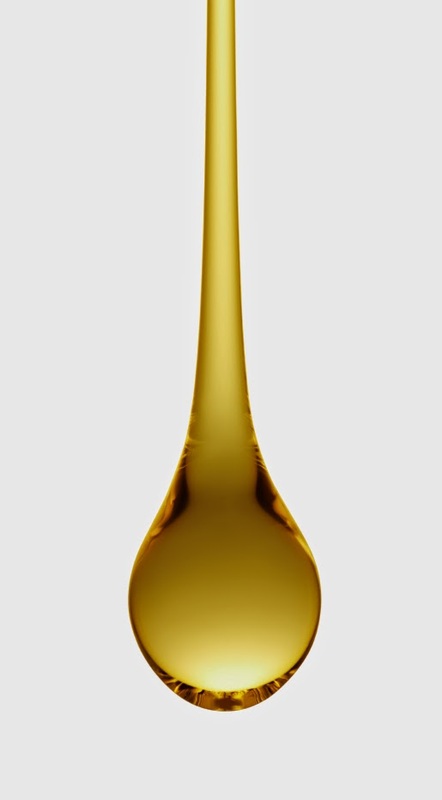 If oils get in the eye, a drop of V-6 carrier oil in the eye will provide immediate relief. Particular care should be taken when using cinnamon bark, lemongrass, oregano, and thyme – they are some of the strongest and most caustic oils. It is best to dilute these with a carrier. Use extreme caution when diffusing cinnamon bark because it can burn your nostrils if you inhale it directly from the diffuser. Keep oils away from light and heat (over 90 degrees). They can maintain their maximum potency for many years if stored properly. Oils can dissolve plastics, petrochemicals, and paint due to the oil's potency. When adding oils to a drink, use a glass cup instead of plastic. After using your oil, make sure the outside of the bottle is free of oil. Use caution when setting a bottle of oil on a painted surface – if oil gets on the paint, the paint may dissolve right off! If you don't have an idea what essential oils are good for, here is a good list for you to start with. Hint, they aren't just to make your house smell nice! Use the oils in water (citrus oils taste great in water, but start slow with 1 drop as they can cause detox symptoms.) 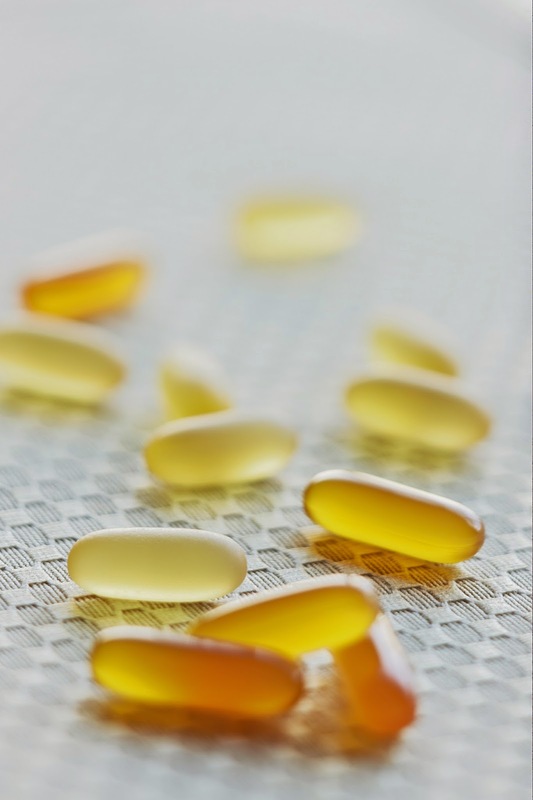 Peppermint is a hot oil, so for things like this capsules are recommended if you ingest. Rub a drop behind the ears, between the eyes on the forehead, or on the wrists. Add 3 drops of each to a capsule or mix in a bottle and add carrier oil and add to back of neck, base of skull. If having a major allergy attack, add a drop of lavender and swipe inside the cheek. It doesn't taste so great but works every time! This is my favorite focus blend for overly active children. Add a roller top to Vetiver and apply to bottoms of the big toes. Also, mix equal parts Frankincense, Orange,Valor and Carrier Oil then apply on the Back of neck, base of skull. No, this article isn't about little tiny oils nor is it about little tiny bottles of oil........wait.........I guess it is a little about the bottles! Our first little oil fact is actually about the bottles! We hope you enjoy these 'little' facts! Q: How many drops of oil are in the oil bottles? Q: What is the fastest way to absorb oils? The second fastest is application to the feet or to the ears (outside of the ear) NEVER put oils into the ear! Putting oils on the feet is a quick way to get them into the body and this method rarely requires dilution, even on children. Q: How fast does the oil enter the body? Testing on the heart, thyroid, and pancreas showed the oils reached these organs in three seconds. One study said the oil applied to the feet arrived to the head in just one minute. Q: How much is really in a drop of oil? 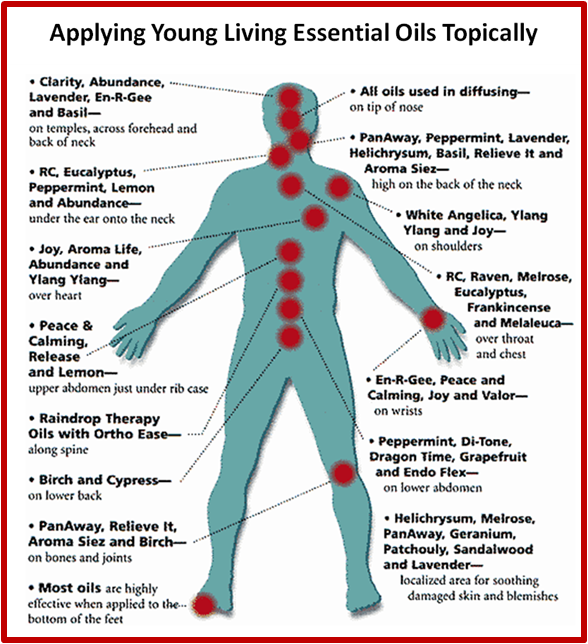 One drop of essential oil can cover every cell in our body with 40,000 molecules. Start slow, sometimes less is more when it comes to using oils! Q: Is there a way I can drive the oils deeper? Yes! You can use a warm wet cloth as a compress to drive oils deeper. Remove when the cloth is cool. Do you remember the TV commercial for Prego spaghetti sauce where the lady remembers all her questionable decisions? I saw it again the other day and it made me think of a couple of MY questionable decisions. Hindsight is 20/20 right? 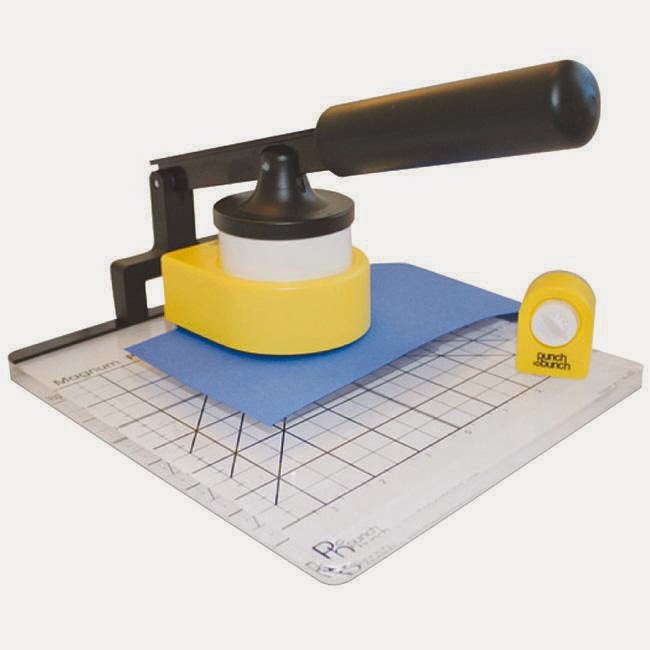 I am an avid rubber stamper and have been since 1987. I own dozens of punches used to create my cards and projects. My thumb soon discovered that having something to help me push down would be very helpful! I went on the search for punching aide. There were several but they were WAY different in price. The first one was only about $25 and it fit into my budget much better than the $70 Mega Strong aide. The budget won and the $25 model came home with me. After using it for a while, I liked the ability to get the job done while saving my thumbs! THEN, it happened. The paper I used one day was slightly thicker than normal and the handle of my punch aide snapped in two! AUGH!!!!!! Right in the middle of my big project too. The product failure came at the worst time. I had a decision to make........do I purchase another $25 model or spring for the big boy. Guess which one came home with me that day! I got the Mega Strong one! The assurance of getting the job done without the potential of breaking again made the extra cost more bearable. I have no regretted my decision. The new aide was wonderful making me wish I had purchased it first. Now, enter in my essential oils questionable decision. 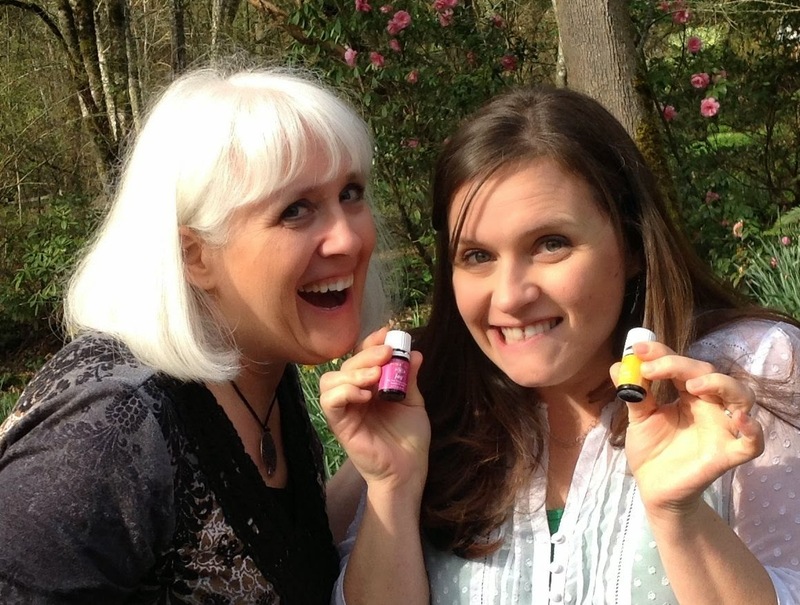 When my mother and I discovered the benefits of essential oils, we were really excited to get some of that oily goodness for ourselves! A website offered a BOGO deal at a VERY good price. Awesome, we thought, we could each have our own set. We made multiple orders over time. THEN, my friend introduced me to Young Living oils. Hmmmm.......the cost certainly was more than the oils we have already purchased. Would they truly be worth the extra? She told me she found YL oils to be WAY different. I was skeptical......BUT, I decided that I could spring for the Premium Starter Kit. It was a pretty good deal and I could get the oils at almost half price! My friend suggested I conduct a smell test once I received my YL oils. The smell test was revealing. The peppermint oils were tested first. I enjoyed using my original peppermint oils (in cooking and topically) and wanted to see if there was truly THAT much difference. The YL peppermint oil was opened smelled. Ummmmm..........it smelled like I went into my garden, picked a few peppermint leaves and crushed them in my fingers. Then I opened the first of the two other brands. Wow........it was totally NOT what I expected. The oil smelled like peppermint but it had an 'edge' that really wasn't all that pleasant. The second brand was the one I had been using in my cooking. It smelled even worse. There was a chemical undertone that I had missed before. Additionally, both had a sweeter candy cane smell that was far from the fresh herb. This revelation really took me by surprise. I truly didn't think there would be that much difference, but I was totally wrong. So, I dug out more of my original oils and tested them the same way. The originals each seemed to have this 'edge' to them that I truly didn't find appealing after smelling a pure oil. I tested Lemon, Lavender, and Frankincense. Frankincense was one of the most different. I kept hearing ladies say that they LOVED the smell of Frankincense. I didn't agree, but I was smelling my original brand. When I got my YL Frankincense, I found out why they were saying they loved it. It was just so amazingly different. WHY????????? Why, were they so different? As I looked into this I learned that purity was everything!!! YL has a Seed to Seal quality commitment. Ahhhhhh! It made total sense to me then. I watched the videos on each process from acquisition of the seed all the way through to the process of applying the label to the bottle. This control assures that Young Living products are top notch! My other oils are being replaced!! Click here to view the Seed to Seal process for yourself. We are very excited today to have an experienced oiler share some of her knowledge with us! This article has some valuable information about the quality of your oils. Hope you enjoy. Adulterated Oils...why you need to be super careful!! "Today much of the lavender oil sold in America is the hybrid called lavandin, grown and distilled in China, Russia, France and Tasmania. It is brought into France and cut with synthetic lunalyl acetate to improve the fragrance. 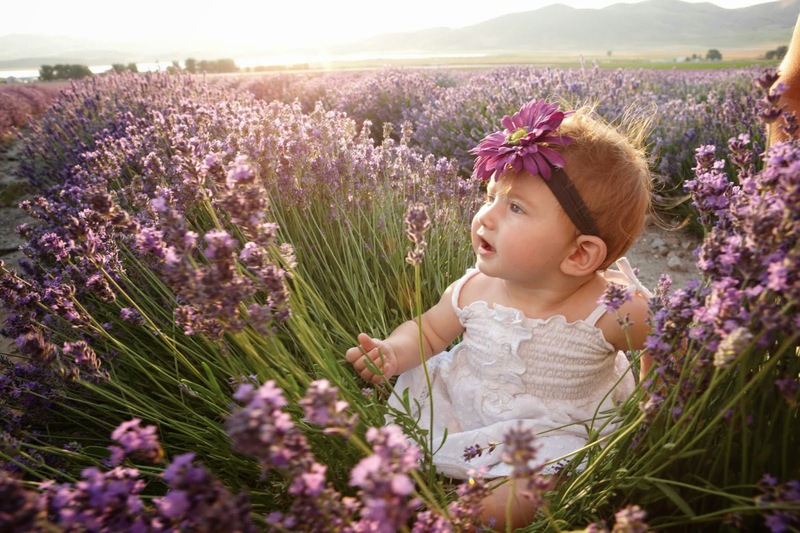 Then propylene glycol, DEP or DOP (solvents that have no smell and increase the volume) are added and it is sold in the United States as lavender oil. Often lavendin is heated to evaporate the camphor and then is adulterated with synthetic linalyl acetate. Most consumers don't know the difference and are happy to buy it for $7 to $10 per half ounce in health food stores, beauty salons, grocery and department stores and through mail order. This is one of the reason why it is important to know about the integrity of the company or vendor from which you purchase your essential oils. The book goes into further detail about adulteration and how dangerous it is for people to opt for the cheaper lesser quality oils since they could be potentially dangerous. This is one of the biggest reasons why I chose Young Living. If you are thinking about using essential oils, I highly recommend Young Living. I wouldn't trust any other company's claims about quality and purity.